Colour Management is a ‘good thing’. It’s taken as a given in all our work and in all the articles on this web site. However, Keith still comes across people who think it’s a bit of a waste of money, or just some fad to sell equipment and software. Datacolor have teamed up with ‘The Leica Forum’ to conduct a survey looking into how people see colour management contributing to their work. All our free colour management reviews and articles have their own index page. Colour management can be part of our teaching and training services. You can also search via the more specific categories listed at the right. Datacolor team up with The Leica Forum to understand how colour management improves workflow for photographers. Datacolor, a global leader in colour management solutions has teamed up with The Leica Forum to demonstrate the benefits of colour management. The survey was conducted by Andreas Jürgensen and received responses from 750 members of the Leica, System Camera and Fuji X forums. The survey captures a snapshot of the photography community and details insights into how colour management is incorporated into their workflow and their opinions of the improvements it has on the quality of their work. If you’ve been disappointed when you view your images on another monitor or received your prints from the lab, chances are your monitor is not accurately calibrated. 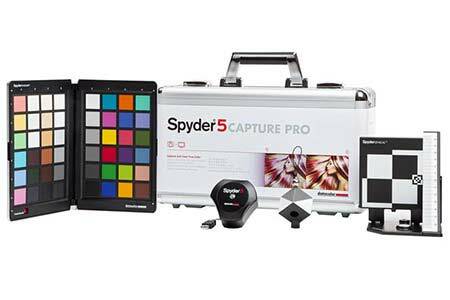 Datacolor offer a range of solutions to allow photographers to achieve the most accurate colour calibration. So, I had a bit more of an in-depth browse of the results. How would they compare to the feedback I get when I do talks about colour management and printing for local UK camera clubs. Ok, first up, Leica users are simply not typical of the sort of people I meet in photography either at amateur or professional level. I note though that other forums were involved, but we don’t get a split of the numbers. There is no indication of the proportion of respondents and demographics. The basic headline figures do fit in with my experiences talking about the subject to groups of photographers. Perhaps it’s a by-product of Leica users (and those who frequent forums are a distinct subset) but 22% calibrating cameras, seems very high. It’s something that’s probably irrelevant to many photographers, unless you want to expand it to including white balance. OK, that 21% has got me interested. Perhaps they only shoot B&W? Well, if you’re editing your images on a monitor, then it’s worth noting that calibrating your monitor sets up the linearity of the display too. Are those crunched shadows and blown highlights because of your monitor, or your camera settings? Anyway … if you’re in that category of people wondering if colour management is worthwhile, feel free to have a look at my different reviews. Or pleas just ask. We don’t sell colour management kit at all and I just try and give relevant advice. Remember – colour management is an integral part of my business – I don’t make that effort just for fun.